IT Brand Pulse is leveraging over 35 years of experience in successfully developing products and bringing them to market, to build and operate industry alliance marketing initiatives. We offer the capability to design an alliance tailored to the needs of a specific market segment, build organization infrastructure, recruit members, and facilitate meaningful collaboration between members. Below are two examples of industry alliance initiatives designed, built and being operated by IT Brand Pulse today. Picking-up where the standards development and promotion of the Ethernet Alliance and 25G Consortium leave-off — the 2550100 Initiative supports both organizations and facilitates collaboration among vendors to bring solutions to market. 3) IT professionals with education, hands-on training and early access to 2550100 networking products needed to evaluate and deploy the new technology. Launched in April, 2016, there are now over 140 members in the 2550100 Alliance. 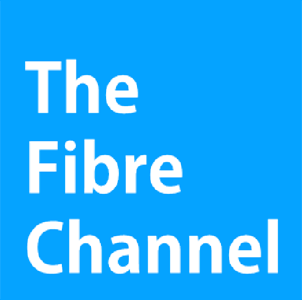 TheFibreChannel.com is a collaboration between the Fibre Channel Industry Association and IT Brand Pulse. Fibre Channel is the most reliable storage network on the planet. That’s why it’s going strong as the dominant technology for the enterprise. While the herd chases news about hyperscale technology, our mission is to deliver the most comprehensive, up-to-date, technical data, solutionware, education, and news about Fibre Channel’s migration into the cloud.